Once you take a look at the stunning wedding photographs in our extensive portfolio, you will know we have the flair and expertise to capture your special wedding day moments as no one else can. When you get to meet us, you will realize how comfortable and at ease we will make you feel on the most important day of your life. 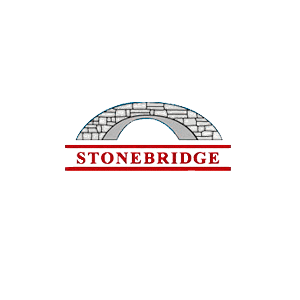 Stonebridge Country Club is located in Smithtown, New York. This is a stylish venue choice for your wedding day. Stonebridge can accommodate up to 350 for your unforgettable indoor or outdoor ceremony. It has been a favorite venue for brides and grooms for more than a century. With its picturesque natural loveliness in combination with elegant landscaping, it provides a great backdrop for spectacular wedding photos. This venue has won multiple awards including the Weddingwire Couples Choice award for 2018 and the L.I.Weddings.com Best of 2017 voted by Long Island Brides. If you’ve decided to take your vows outdoors, Stonebridge offers the perfect setting. The outdoor altar is surrounded by blossoming flowers and mature trees. There’s also a covered veranda, so a sudden change in the weather won’t be a problem. A cobblestone path leads to the ceremony site, and your guests can breathe in the serenity of the moment, while we take stunning photos of you taking your vows. For brides who prefer a sophisticated indoor wedding venue, the Grand Ballroom will not disappoint. Illuminated by twinkling crystal chandeliers, the room is the perfect setting for your first dance as a married couple. The room can comfortably accommodate 300 seated guests. During the daytime, sunlight floods the floor-to-ceiling windows, while at night the room is lit by the light of a serene moon and stars. The reception room overlooks the evergreen golf course and mature trees. Whether you have a DJ or a live band, your guests will enjoy dancing on the hardwood floor. Because you want to make the most of your special event, Stonebridge books only one wedding per day. This allows you five hours of time, though you can extend this for an additional fee. The venue has a full bar for the enjoyment of you, and your guests and Stonebridge’s in-house chef will work with you to create a special wedding menu. Let’s meet. Call us to book an appointment, and we can go over your wedding plans at Stonebridge Country Club and discuss all the wonderful photo opportunities the venue has to offer. We can’t wait to show you our portfolio and testimonials.